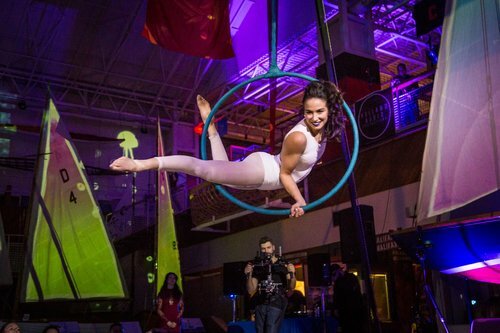 Join the incredible Sara Greenberg for a "by-request" Aerial workshop for students of all levels. Sara will warm you up and then work with each student at their own level. We'll reach out in advance, after you register, and ask you for your wish-list for the workshop so Sara can do her best to provide a truly magical, custom experience for those of you attending. This workshop would be best suited for students working at least at the Beginner level in the Brass Butterflies curriculum.